THE FAITHFUL TROUBADOUR PUBLICATIONS™ is a Gospel-centered publishing ministry, specializing in writing Christian musical scripts that bring Biblical truths to life in a relatable, modern way. Our aim is to connect cast and audience to Christ through the art of musical theatre in partnership with schools, churches, and theatres around the world. Jake Bishop, an athlete and straight-A student, has always been the favorite in the family over his older brother Ethan, and tensions rise when Jake falls head-over-heals in love with sophomore Rachel Alton and Ethan's graduation gift is given to Jake instead. Throughout the story, we see that there is more than meets the eye in the lives of the characters surrounding Jake & Ethan, learning about perserverance, perspective, and friendship. 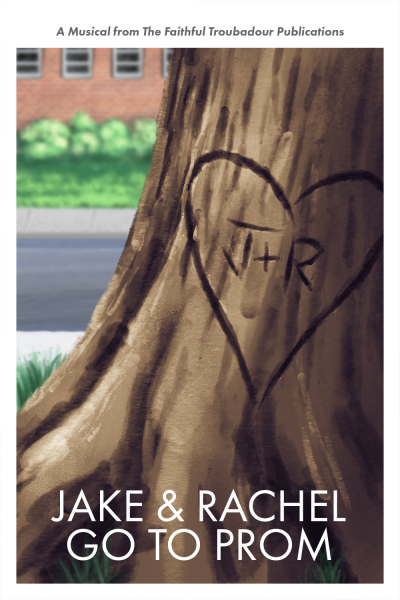 Jake & Rachel Go To Prom is a modern re-imagining of the story of Jacob, Esau, Rachel, & Leah in Genesis 25-33. "Coming For You Now", from our newest musical coming in 2019, JAKE AND RACHEL GO TO PROM, sung by Cameron Peterson. "Great Escape", from our newest musical coming in 2019, JAKE AND RACHEL GO TO PROM, sung by Alexis Lopez with Colin Hardy. "Take What's Mine", from our newest musical coming in 2019, JAKE AND RACHEL GO TO PROM, sung by Andrew McLeod. 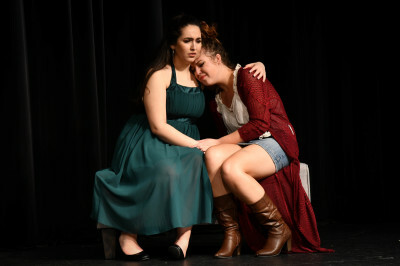 "Stronger Than The Storm", from our newest musical coming in 2019, JAKE AND RACHEL GO TO PROM, sung by Alina Gannon and Sarina Edwards. 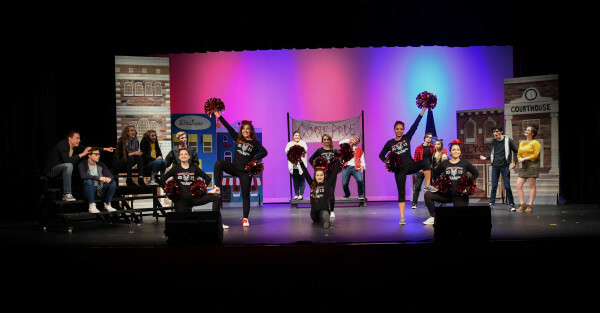 Speaking/Singing Roles: ​6 Male, 7 Female, 2 Either. Licensing Fee allows for 5 performances in venues with up to 400 seats. For more performances or larger venues, please contact us for a quote. Contact us for licensing rates! Perusal scripts are subject to minor changes. We will be in touch with you within 1-2 business days.